Some claim he made a mistake in choosing the Alaska governor. My bet is the reverse - that she'll turn out to be a big win. Even if I'm wrong, dropping her now would doom him in November. If McCain lets baseless, sexist smears set his course, he'd turn all the good Palin has already done for him, and should do in the weeks ahead, into a negative - demoralizing the GOP base and losing independents. Remember the Democrats' central charge on McCain - "He's a Bush clone." By choosing Palin, something George Bush would never have done, McCain showed how really different he is. The old ground rule for picking a running mate was to help the ticket carry a particular state. But Bill Clinton changed the rules when he tapped Al Gore in 1992. Clinton likely would've carried Tennessee anyway, but the choice of Gore emphasized the most important feature of Clinton's candidacy: He was from a new generation and represented a new outlook. And so Sarah Palin reinforces the most important aspect of the McCain candidacy: Despite 30 years in Washington, he's an outsider and a dedicated foe of corruption and conflict of interest in government. He's the one who stands up against pork, earmarks and lobbyists and backs campaign-finance reform. Palin brings the same kind of credentials to the ticket. When she speaks tonight and emphasizes her record of reform and her commitment to bring ethical standards to Washington, she'll strike a deeply resonant chord throughout the nation. None of the "scandal" reflects ill on Sarah herself. They're the kind of family issues that bedevil many American women. That the media accords such prominence to them shows how fundamentally differently we treat women and men in politics. Palin has an extensive public record - with more executive experience than Barack Obama or Joe Biden (or McCain, for that matter). She should be judged on her record, same as a man. If she is, she'll survive these charges in great style. And then the backlash will set in. 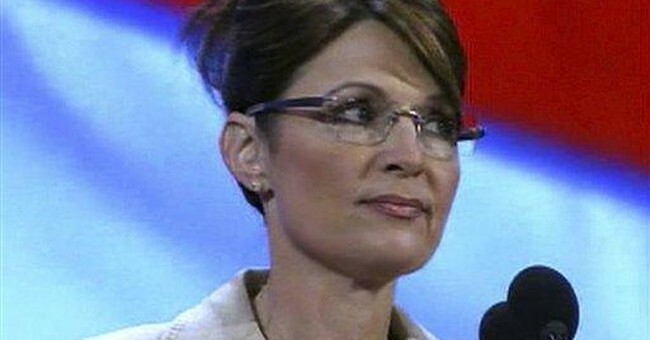 Tens of millions of women have had to confront life experiences akin to Palin's. After years of electing plasticized creations of political consultants, we have the chance to vote for a real person with real peoples' problems. In standing by her, McCain speaks volumes about his attitude toward women and his empathy for those who face family troubles. His loyalty illustrates not just his decency, but his sensitivity and good sense.